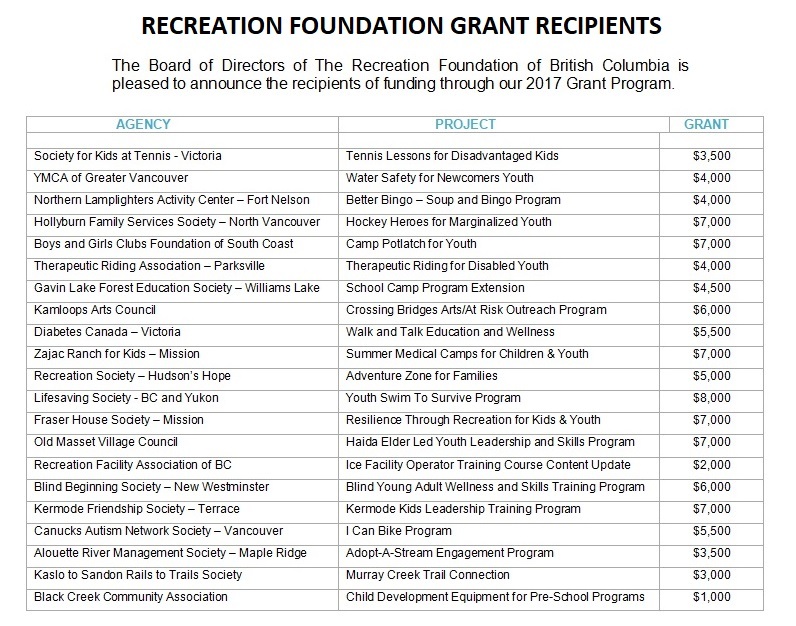 Thank You for Submitting Your 2019 Grant Application with the Recreation Foundation of BC. The next Grant Cycle for the Recreation Foundation will be in 2021. 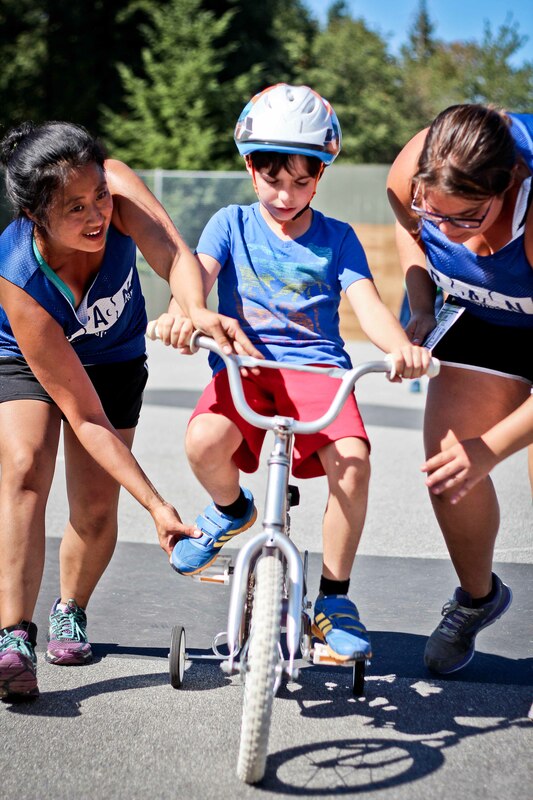 Our Grant Program was established in 2011 to provide support to not-for-profit groups active in the broad areas of recreation, sports, parks, culture, the environment and education. Since the inception of the Program, the Foundation has granted over $500,000.00 in total funding. In 2017, we received 166 applications from across the Province, resulting in funding $107,500.00 to 21 deserving groups. Members of our Grant Committee reviewed and evaluated each of the applications based on several criteria and the resulting scores were ranked for allocation of funds. 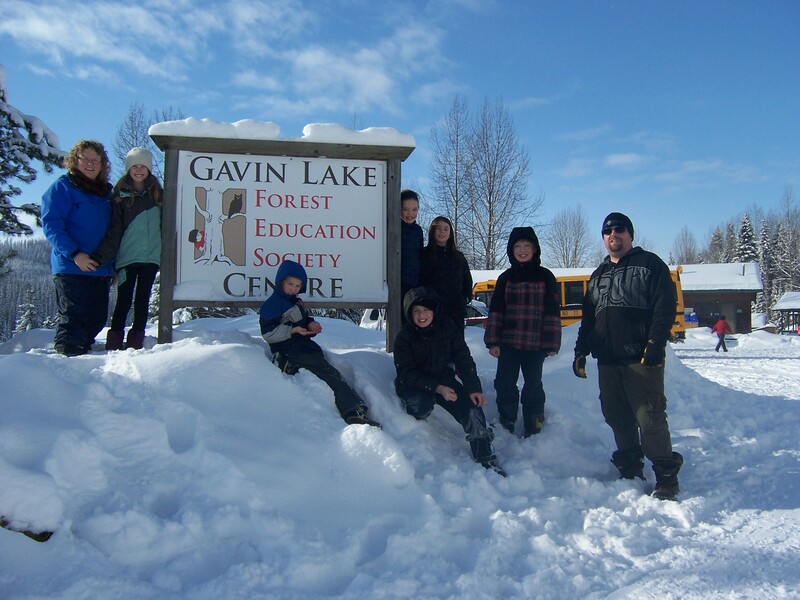 In addition to the Grant Program, the Recreation Foundation also supports the work of the BCRPA on an annual basis. 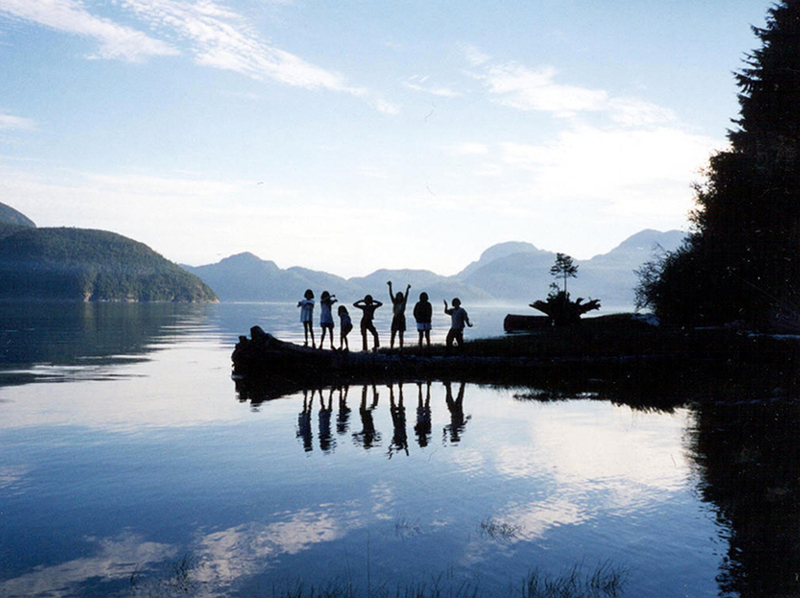 In 2017, the Foundation provided $9,960.00 in funding to the BCRPA to support its programs, services and advocating based on interest earned in the Vancouver Foundation managed Endowment Fund.